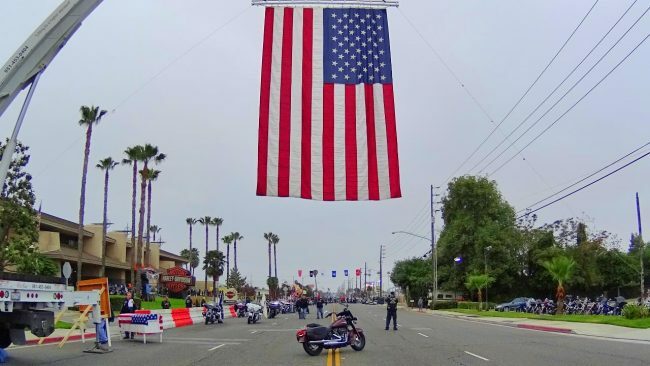 Each Memorial Day, over 8,000 bikers take over the streets of Riverside, California (with official permission and police escorts) for the annual West Coast Thunder charity ride. 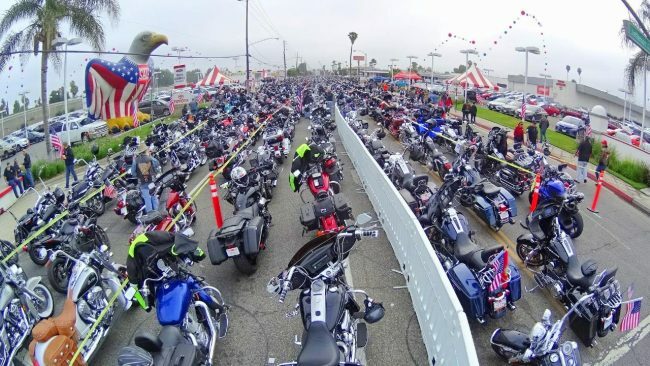 The motorcycle ride, now in its 19th year, is a benefit for the nearby Riverside National Cemetery. The cemetery, like Arlington, is for military veterans. After a 15 mile parade ride, there’s a concert and festival at a local fairground site. This year I had a chance to ride in the parade part of the event. West Coast Thunder starts with an official ceremony at Riverside Harley, the host dealership, including a military honor guard. 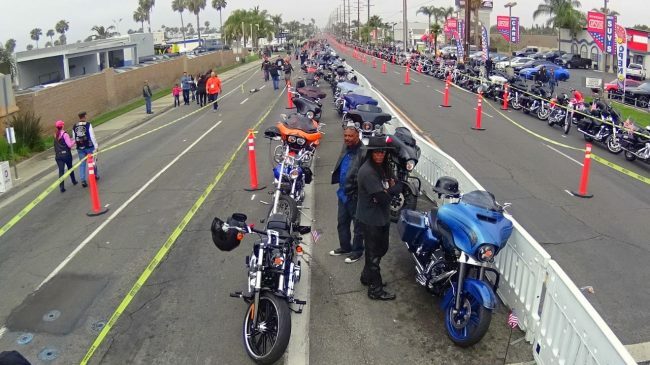 The bikes begin to line up around 5 a.m. and by the ride start, each year at 9:11 a.m., there are thousands of bikes lined up for almost a mile along Madison Street in Riverside. It’s the largest one-day motorcycle event west of the Mississippi. 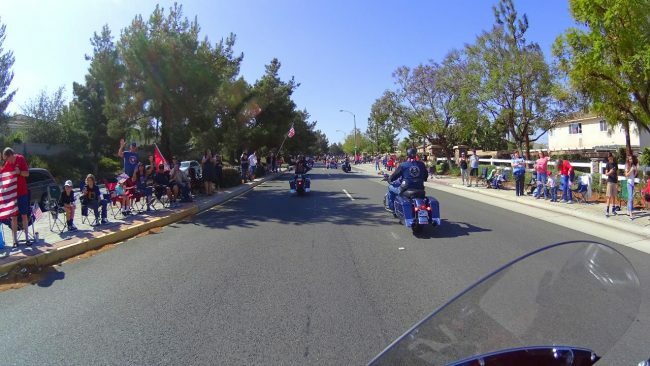 As I was rolling through the streets of Riverside, with thousands of people on the sidewalks waving American flags, I realized it was my first time riding in a parade. After a short time, I was quite good at waving and riding with one hand. It was truly inspiring to feel the support from the community for this important event. It was also very exciting to ride with so many other bikes, along with police escorts. Even the freeway was closed for us as we thundered down the on-ramp, en route to the festival site. As a biker, another cool aspect was to see so many different models of bikes, mainly Harley-Davidson models. New and old, big and small, just thousands of motorcycles of all kinds. 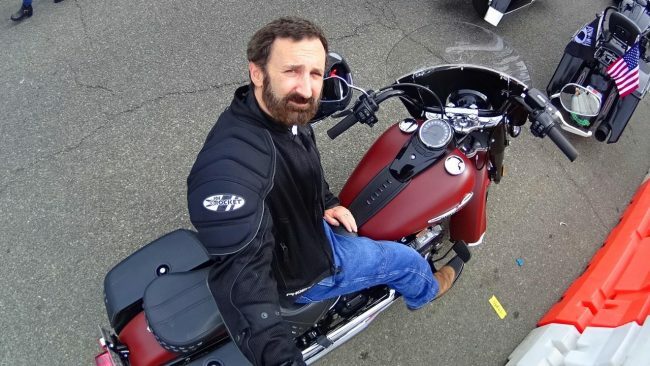 For the ride, I had the 2018 Harley-Davidson Heritage Classic. The Heritage Classic is a new Softail model for 2018. 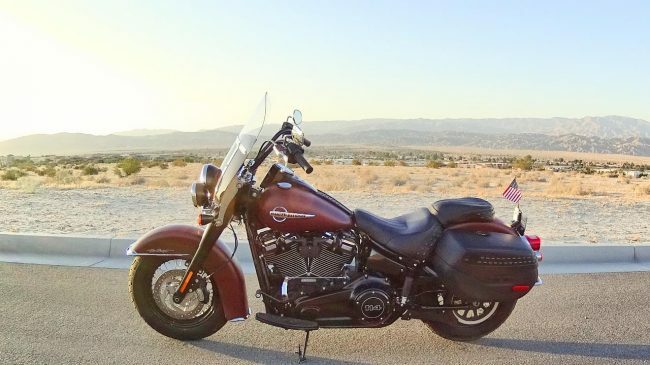 The bike came with the company’s huge 114 cubic inch Milwaukee Eight engine, the 104 motor is also available. With all that horsepower, it was easy to keep up with all those other bikes. The bike was super comfortable and very stable on the freeway, even in the wind. Although big and great for two people, it’s also easy to maneuver in parking lots and places like that.